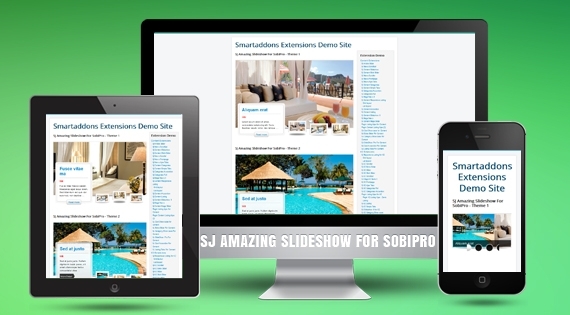 New Joomla module for SobiPro component called SJ Amazing Slideshow for SobiPro has been released to meet the expectation of all SobiPro's users. Compatibility with both Joomla 3.x, this module is considered as a good choice for showcasing items on frontpage of any websites, especially for business/portfolio/news websites and etc. In addition, friendly user interface in Admin panel is totally easy for you to control every parameter we provide. You can easily enter the number of items to show on frontpage, add suitable categories, choose effect type, display/hide Title, description, Price and etc. Based on your configuration in this important area, your website will perform as exactly as you want. Refer to the photos we captured and specified below to see how it works.